August is the month annually that the TPS Foundation embarks on an employee capital campaign. This year in addition to the regular employee campaign, the Foundation is placing an emphasis on raising dollars to support a new Foundation fund, Bridges To The Future. Bridges To The Future provides grants to qualified students served by the TPS Migrant Education Program to reduce the financial burden of attending the Washburn Technical Education program while still in high school. For the first time the Foundation set up a booth at the TPS employee benefits fair to increase employee awareness of the benefits the Foundation provides to the District and to solicit additional employee contributions. 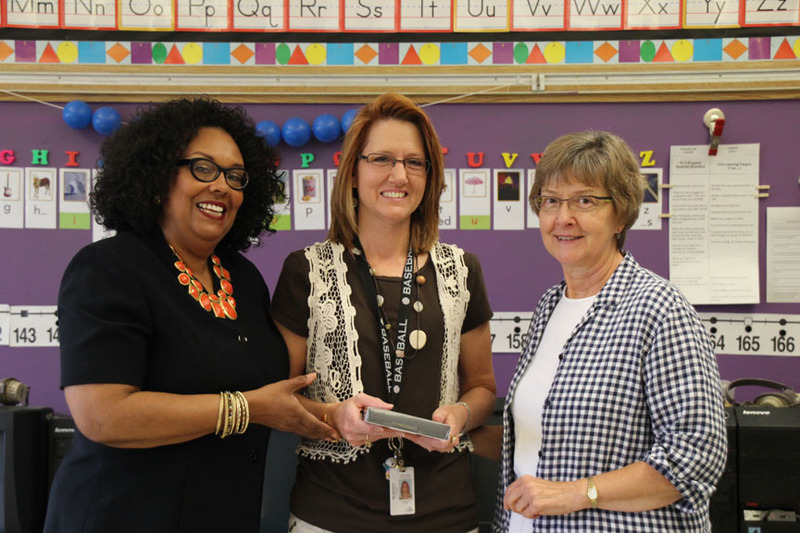 Left to right: Pamela Johnson-Betts, Dee Ann Seelbach and Bonnie Robles. As part of the fun, a Nook e-reader was offered in a drawing. The lucky winner was Dee Ann Seelbach an elementary teacher at Ross. 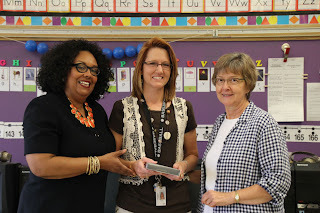 Pamela Johnson Betts, Foundation Executive Director and Bonnie Robles, Foundation Board member recently made the presentation to the teacher in her classroom.